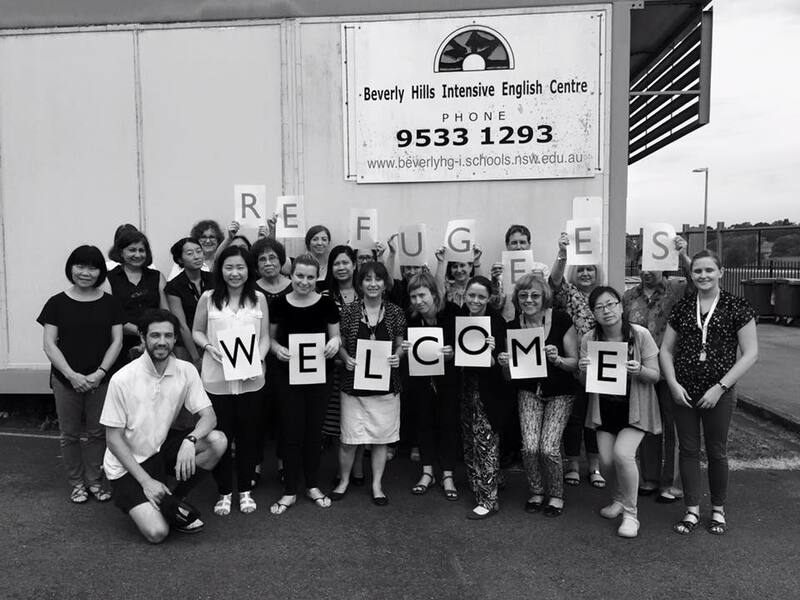 Teachers at schools in Sydney, Melbourne and Brisbane will participate in group actions tomorrow (December 10th) for Human Rights Day, holding banners at schools calling for the government to “close the camps, welcome refugees”, and for “education not detention”. The Australian Education Union Victoria has called for members to participate and the NSW Teachers’ Fed and Federal AEU are encouraging members to tweet selfies to the hashtag #educationnotdetention. Asylum seekers detained on Manus Island have responded to the planned action with a letter of thanks and support (in full below); “Thanks you for standing up for us, when the entire world is silent. 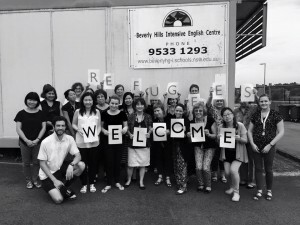 We deeply appreciate your support… Your action can give us energy to continue to struggle in this hell that is Manus Island. [Your actions] prove that there are many people who do care about us and that they are against mandatory detention.”. The action follows the stopwork at Yeronga High School in Brisbane where teachers demand the return year 12 student Mojgan Shamsalipoor who was forcibly transferred to a Darwin detention centre and threatened with deportation to danger in Iran. 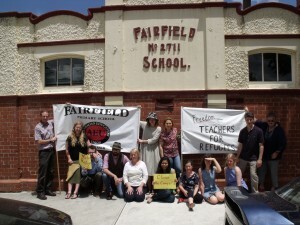 Lucy Honan, teacher at St Albans Secondary College in Melbourne’s North West says staff at her school are participating in the action at lunch on Thursday because “all students deserve supportive schools and security, not the abuse we have seen in offshore prisons, or threats of deportation to danger. Melbourne: St Albans Secondary College, Mount Alexander College, Melbourne Graduate School of Education, Fairfield Primary School (see photo below), Sunshine Secondary College, Innerwest regional AEU meeting. energy to continue to struggle in this hell that is Manus Island. and that they are against mandatory detention. all the the people that we should be free. and another because of the lack of health facilities. Transfield are making money from human abuses. With your help , one day we will be free. I am hoping our government shows mercy and compassion for all refugees and detainees in various detention centres around Australia or Island States detention and free families for this Christmas.